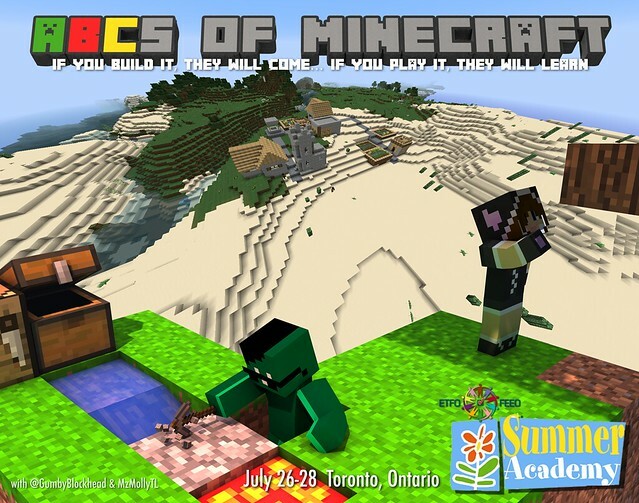 @MzMollyTL (aka Diana Maliszewski) and @GumbyBlockhead (aka Andrew Forgrave) will be offering “The ABCs of Minecraft” this July as part of the ETFO Summer Academy 2016. 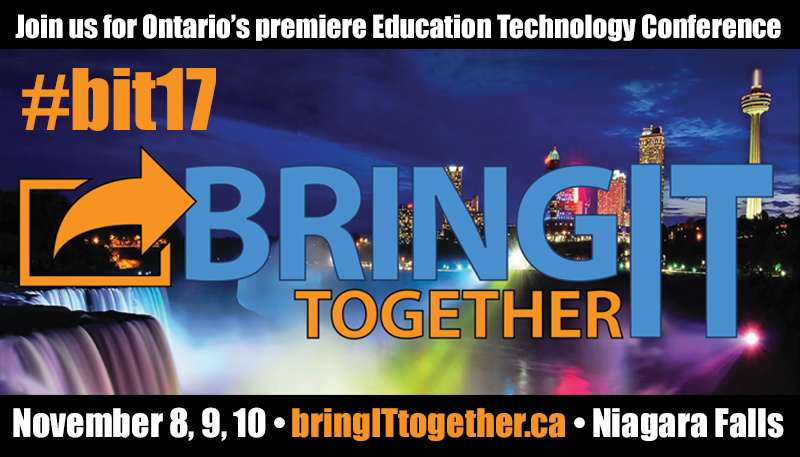 If you are interested in learning how educators around Ontario and around the globe are using Minecraft with their students, this summer learning experience just may be for you. Are you often asked what did you do on your summer vacation? You probably never respond with “I blew up mountains with TNT, fought a horde of zombies and built a castle in the clouds! And it was all for school!” This could be true if you choose to join us for this three-day course that will focus on using Minecraft, the popular blocky video game and how it can fit in your classroom. Participants will spend time playing Minecraft while discovering the pedagogy behind play-based learning and games-based learning. Come and join us to learn about how this tool can be used to support curriculum, and more importantly, student learning. Desktop computers will be available, however participants may choose to bring a personal laptop with Wi-Fi capabilities to use during the course. 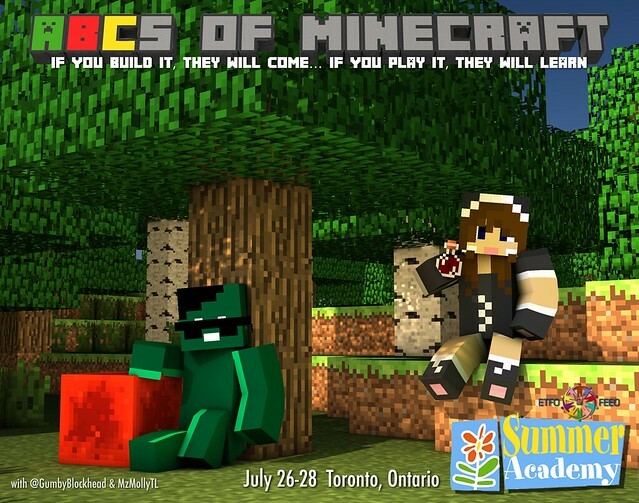 The ABCs of Minecraft is session SC-75 on the ETFO Summer Academy 2016 site. You can access the registration page for this course directly via bit.ly/ETFO_ABCsOfMinecraft. We hope you will join us! Please register early as spaces are limited. This entry was posted in Courses, Learning and tagged @GumbyBlockhead, @MzMollyTL, #MinecraftED, ABCs of Minecraft, Andrew Forgrave, Diana Maliszewski, ETFO, MineCraft, MinecraftEDU, SC-75, Summer Academy 2016 on June 6, 2016 by GumbyBlockhead.